“I have a bleeding heart,” says Karie Jackson-Hall, founder of Tapping House Animal Rescue in Trent Hills. The term “founder” is a bit of a misnomer. Tapping House was born due to the evolution of events rather than the result of a strategic decision to launch an animal sanctuary. It all began about ten years ago in Whitby when Karie purchased a purebred Brussels Griffon puppy. Not only was the pup the runt of the litter and the “ugliest thing I’ve ever seen”, but he was deemed unsuitable for sale because he was born with a congenital heart murmur, prognosis unknown. “The breeder let me have him for medical costs only,” Kari explains. Griffon is still with her and has led a contented and robust life despite his condition. It was a complicated time for them. They had a blended family of two sons and two daughters, now in their 20’s and gone from the homestead. Karie had completed her courses at OREA Real Estate College and enjoyed a brief career as a realtor before becoming pregnant with her son Rayne, now nine. Her partner Mike was also a realtor in the city, maintaining his business for awhile after their relocation despite the two-hour commute. He now works at the Canadian Tire in Cobourg as Customer Service Manager. Karie has recently signed on as a Server with the new management of Banjo’s Grill in Hastings, after two years as a Sales Consultant with Campbellford Chrysler. The couple coordinate their working hours to ensure that their farm chores are done. Also in residence are three orphaned wild turkeys, lovingly hatched by Karie’s brood hen. There is a small herd of Nigerian Dwarf Goats and a few sheep as well. Tapping House has also given hospice care to dying animals, some under very traumatic circumstances. Tapping House Animal Rescue is funded entirely by donations. Some are practical and easy to give, like the huge load of pumpkins that were donated by a supportive community last fall. Blankets, towels and any kind of animal food from bird seed to cat food is always welcome. Fundraising efforts are currently under way to raise $20,000 for a drilled well. Water shortage on the property is a chronic problem and the couple purchase their water at $100 per fill. A GoFundMe campaign was launched last September. Karie Jackson and Mike Hall officially tied the knot in August 2017. “We were married in Niagara Falls,” she recounts, “at the same chapel Ellen DeGeneres got married in.” They celebrated 10 years together last August. Son Rayne loves animals and is happier than a pig in the proverbial at the farm. 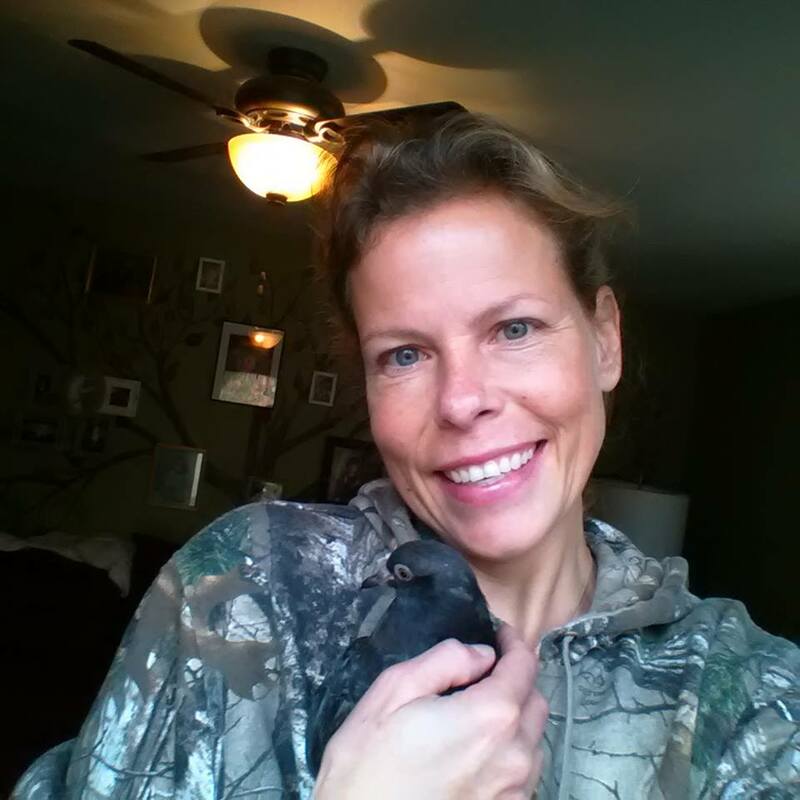 Karie Jackson-Hall radiates compassion along with an in-depth understanding of the animals she cares for. “I do a lot of research,” she says. There is no end in sight for the Tapping House Animal Rescue. These people truly love what they do.